We are honored to help you with any type of project, because we believe that possibilities are endless. Here, at Action Home Services we make your dreams work for you in real life. Flagstone is a natural sedimentary stone which has been cut and calibrated. There are different types of flagstone like: sandstone, limestone and granite. We specialize in flagstone design, flagstone repair, and flagstone installation services for both residential and commercial properties. 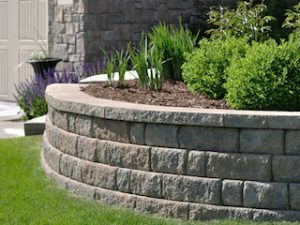 Here at Action Home Services, we are equipped to design and build any retaining wall to suit your needs. Our technicians can build the retaining walls using many different materials like timber posts, poured concrete, armour stones and concrete blocks. 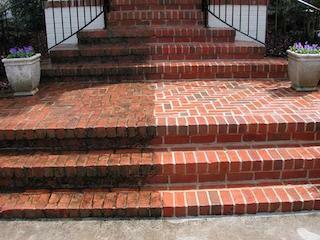 Action Home Services is an affordable pressure washing and sealing contractor in GTA. Our company specializes in interlock sealing & repair, concrete sealing & repair, deck sealing & staining, asphalt sealing & repair. Our company provides interlocking services in Toronto and GTA. 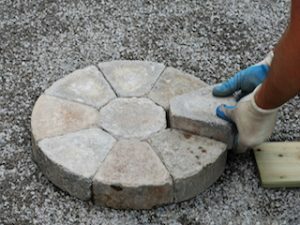 We can help you to design and install the interlocking pavers of your dream. Whether you need interlocking driveway, patio, walkway, steps or entrance we will get it done for you. Our company specializes in driveway sealing & asphalt repair for both residential and commercial properties. If you want to seal your driveway to protect it from cracks or make it look new again we are here to help. Action Home Services can help you to build, rebuild or repair your fence or deck at an affordable cost. 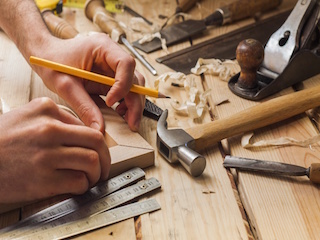 We work with pressure treated wood, cedar, Ipe or plastic composite and many more exotic types of wood. Our technicians are certified deck and fence contractors with years of experience. 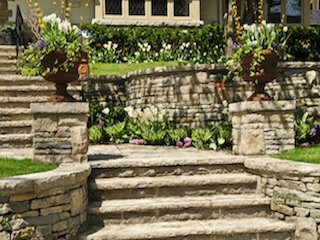 Action Home Services is a Landscaping company which focuses on providing the best options in landscape designs, Lawn care and maintenance, and construction serving both residential and commercial clients here in Toronto, Richmond Hill, and nearby places. If you are looking to transform your boring exteriors into the most beautiful landscape then we are the company for you. We believe in fulfilling our customers’ need by providing them their own little paradise right in front of their home. An alluring landscape will not only enhance the beauty of your place but will also increase its value and we can make that happen for you. Well organized work, diligent contractors and professional support are what you can get here. We provide luxurious and sustainable outdoors which make your pass time more pleasurable. Quality workmanship is what helps us attain our goals and achieve success in our projects. We provide one of the best interlocking sealing here in Toronto. Each customer’s demand and needs are of utmost importance to us. Dedication towards work and proper execution of it are our priorities. 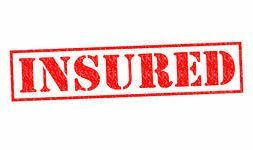 Providing best services in the shortest time span without much hindrance to the customer is what we strive for and have been able to achieve over the years. Action Home Services takes pride in offering clients more than they expect. 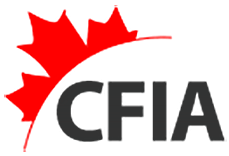 Our vision is to become the most sought-after contractor in the Toronto area for various construction services. We strive to meet the challenges of execution, safety and timely completion of the projects. We design and build an outside living area of your dreams while ensuring a headache-free work from start to finish. We have a proven track record of delivering exceptional projects with a hassle-free owner experience. From designing and constructing retaining walls and beautiful landscape to driveway sealing and asphalt repair, we do it all. As a general contracting company, we have expertise in a wide spectrum of services. We boast a team of highly qualified technical and administrative staff who work diligently to ensure that projects are completed on time and within budget. Our team of trained, certified, and experienced professionals is fully equipped with the latest machinery and equipment to undertake a wide range of projects. 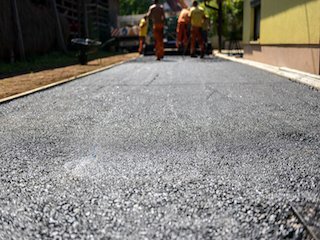 Today, our services include interlocking and asphalt paving, designing and constructing landscapes, pressure washing and sealing, building decks and fences, demolition services, and much more. We work closely in partnership with our valued clients to fully understand their requirements, thereby ensuring to match every aspect of their needs and thus achieve full customer satisfaction. An attractively landscaped yard and well-maintained driveway can maximize your outdoor living space while enhancing the resale value of your property. As such, we aim to bring the exterior's design of both residential and commercial properties to a whole new level. When you work with us, you'll benefit from our professional approach to all we do and our commitment to excellent service and results. Irrespective of the size or layout of your property, we can come up with a plan to help you make the most of your space and enhance its aesthetic appeal. All the work on your property will be completed only by knowledgeable professionals with years of experience. We are always a step ahead of our competitors, that’s why we have very competitive pricies. You don’t have to worry about the lifetime of your project. We provide up to 5 years limited labour warranty. Have questions or concerns? You can always contact our support team, and they will answer all your questions. John and his team did a great job filling & sealing my driveway along with filling and sealing my interlocking. I found John by luck. Absolutely no regrets in hiring him. Not only did he do the job what I wanted he did it right. he did the job like he would have done his own home. everyone else who gave me a quote and explained how they would do it was just cutting corners. Very trust worthy, well behaved and professional. John I hope you will do my next project for me. I wish you luck for your business and am proud of the workmanship and hard work you did for me this past week.